Everybody is so excited, and now you can get in on the excitement. Here we take the barbarian from the beginning all the way through to the end of the beta. This comprises of act 1 Scene 1 completely even the final boss mob the Skeleton King. This is the first of a series of videos taking you through all 5 classes that will be released when the diablo 3 comes out. These are full walkthrough videos, from the char creation all the way through to the end boss mob. In this video we demonstrate the barbarian and his abilities. His main attributes are Fury generators and Fury spenders. We get 100 max. The main spells we use are bash and threatining shout. Here you can see as I change spells and abilities as I progress through the game, and show off all of the barbarian skills and spells/abilities that you will have access to in the beta. While it is not much as the beta is currently limited to around level 13-14. There are active and passive skills. These will change as you level, and you will get more of them available at later levels. Starting out, you get two abilities and one passive. At the max level (not available during the beta) you will get up to a max of 6 abilities/spells and 3 passive skills. The diablo 3 beta also limits the armor and weapons to mainly blue (magic) items. There is one legendary item, but it is not that good. I forget what it is called, some sword or another that I saw. The community has found around 40 rares though (yellow items). During the diablo 3 gameplay, you will get lore and audio clips that play so you do not have to do much reading. Which is quite nice, as you can continue to play and listen at the same time. Diablo 3 supports a full quest system, based directly from World of Warcraft it seems. The main interface looks very similar as well, with the radar in the top corner, and the quest window/information underneath. All in all, the beta is very easy, remember that it only includes a third of act 1. That is act 1 scene 1 and nothing else at this time. Total game play is around 3 hours from start to finish. This video is about 24 minutes long, but in this video we skip all of the lore/quest/text that comes up to just go through the end as fast as we can just to show off the barbarian skills. One thing to note, is the attention to detail that Blizzard put into the diablo 3 beta (d3 beta). Little things like bugs on the ground, or tables crumbling at a mob being thrown into them. Quite nice. 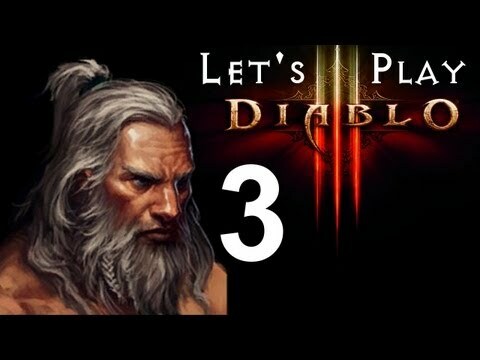 Well I hope you enjoy this d3 othewise known as diablo 3 beta video. Stay tuned to the other videos as we show off the other 4 classes all of the way through the beta. 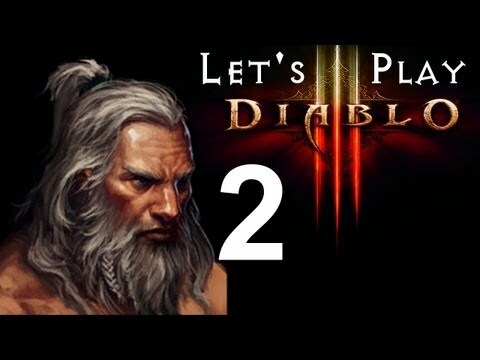 Now, in this video we do not show off any of the diablo 3 cheats or diablo 3 hacks, but stay tuned as we will be posting some of them soon.